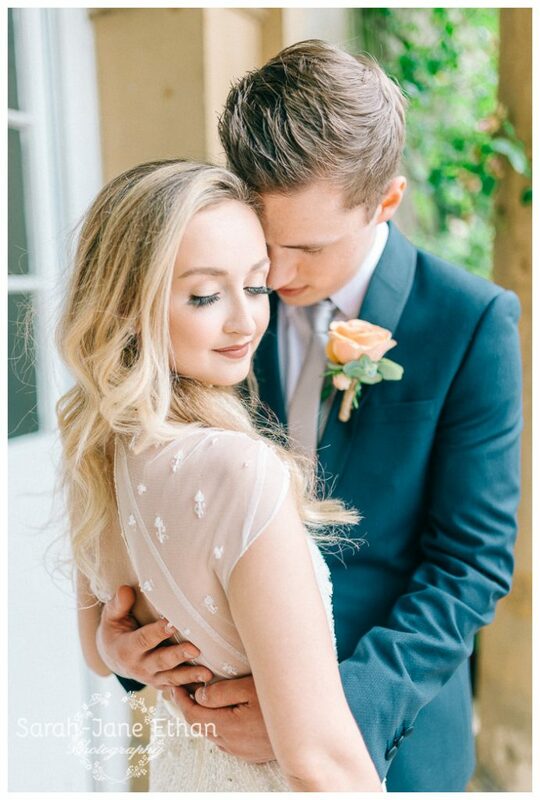 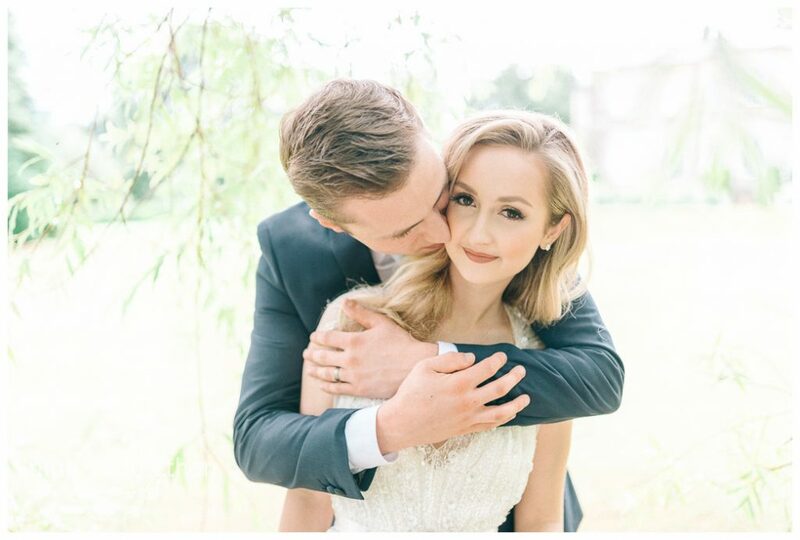 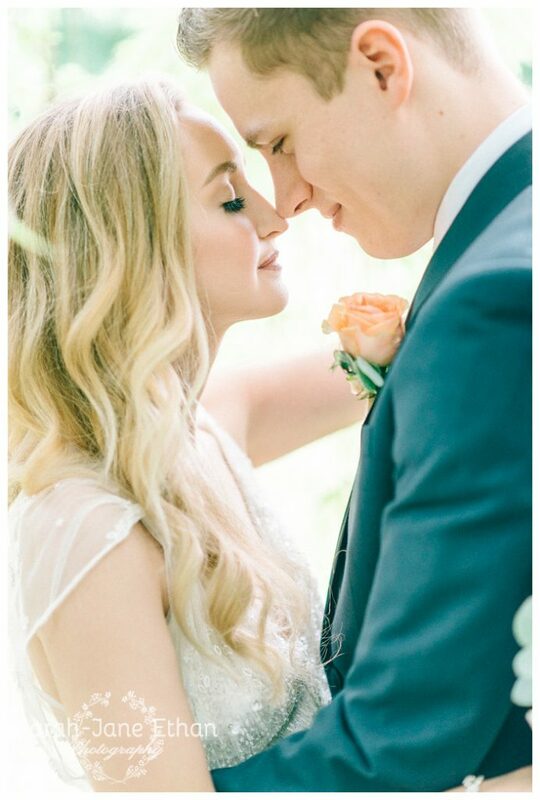 To ALL the Brides out there on a budget, read this to find out how Sarah & Zack had the Wedding beyond their dreams and even had it featured on Rock My Wedding by cleverly doing all the right things when planning a wedding,…..namely spending on the important things and foregoing the less important. 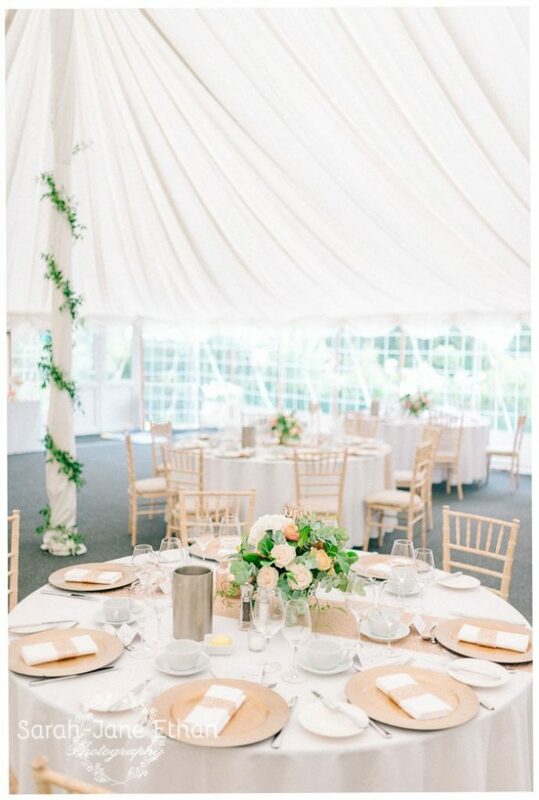 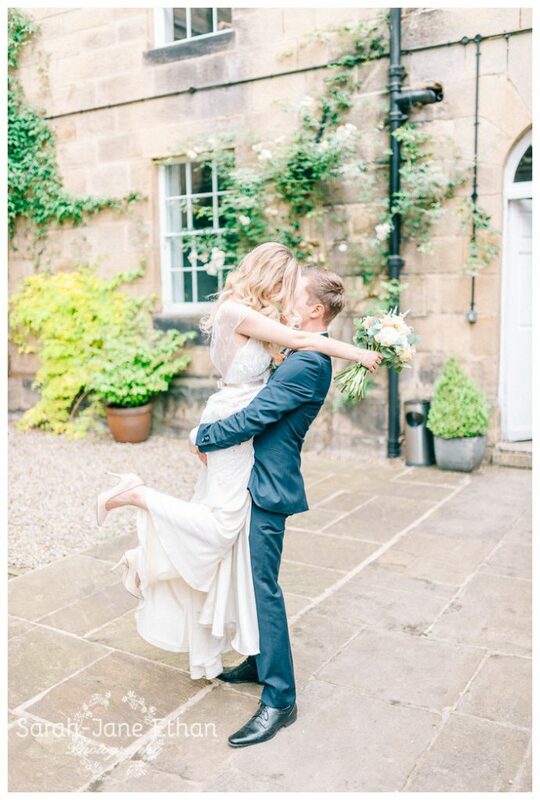 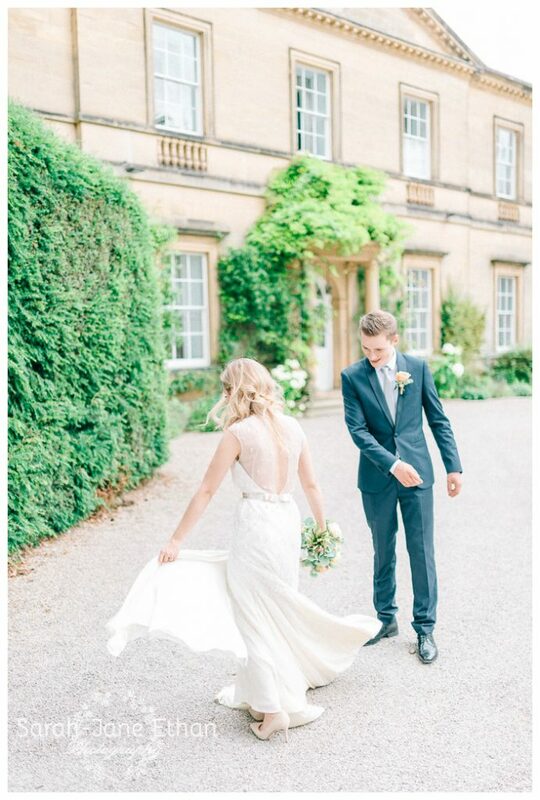 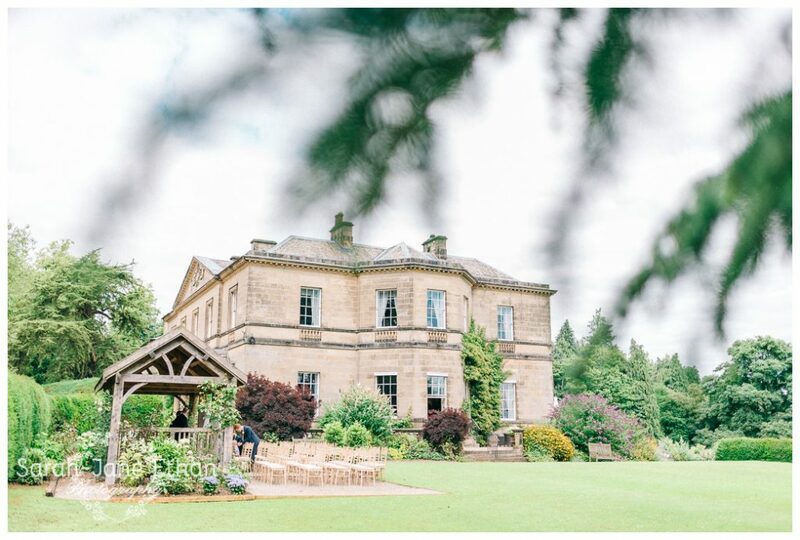 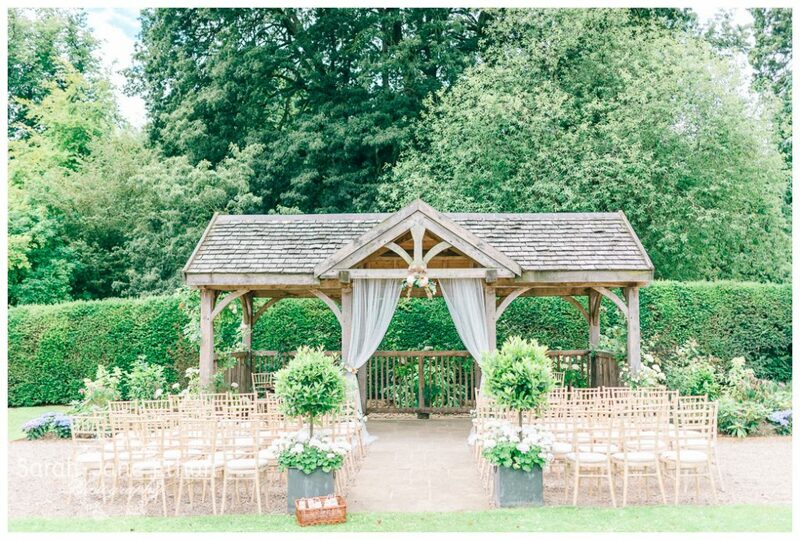 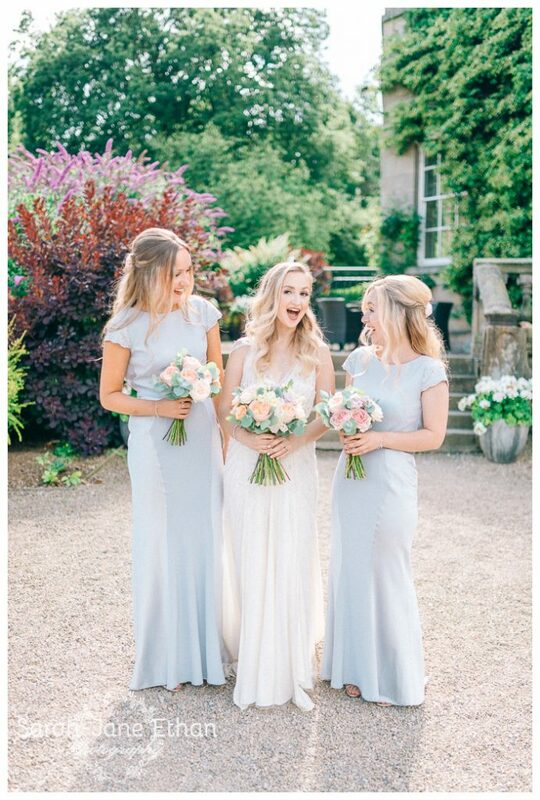 Firstly, book a beautiful Venue, Middleton Lodge is all that and more, with a stunning Georgian house, award winning restaurant, beautiful bedrooms, extensive gardens, the newly renovated Kitchen Gardens with the gorgeous Fig House and a wonderful permanent Marquee. 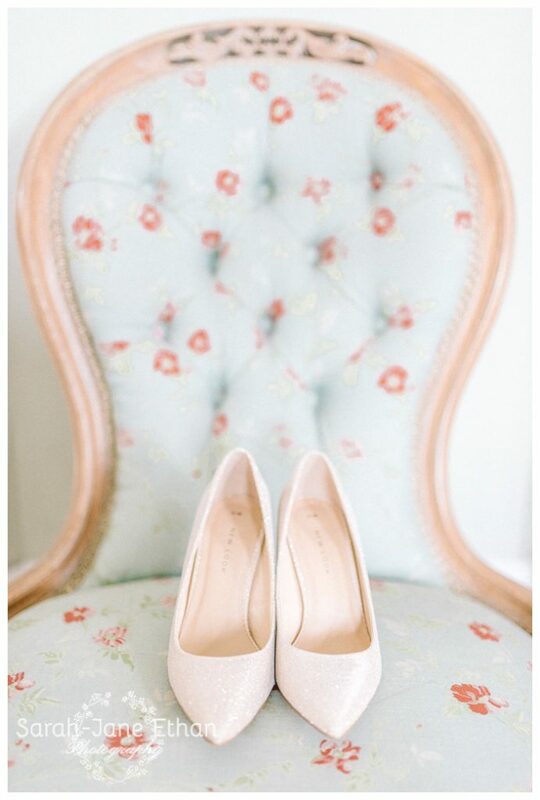 Secondly, book THE best photographer that you can afford (don’t skimp!! 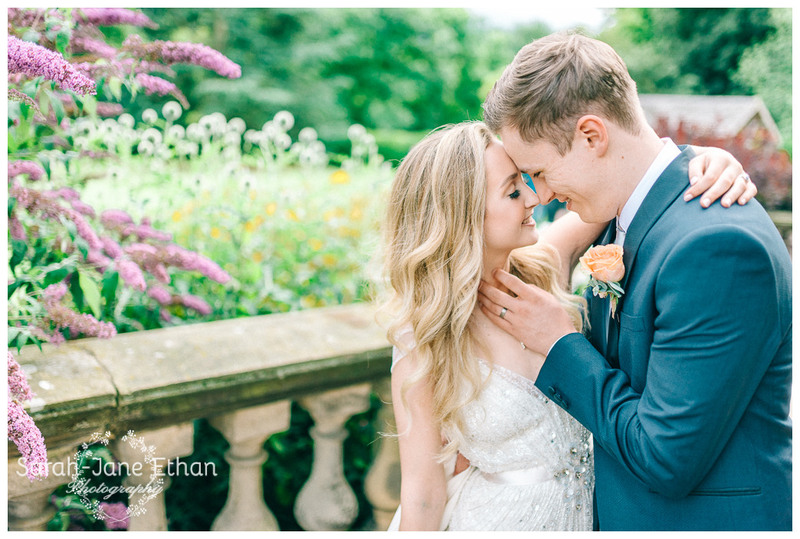 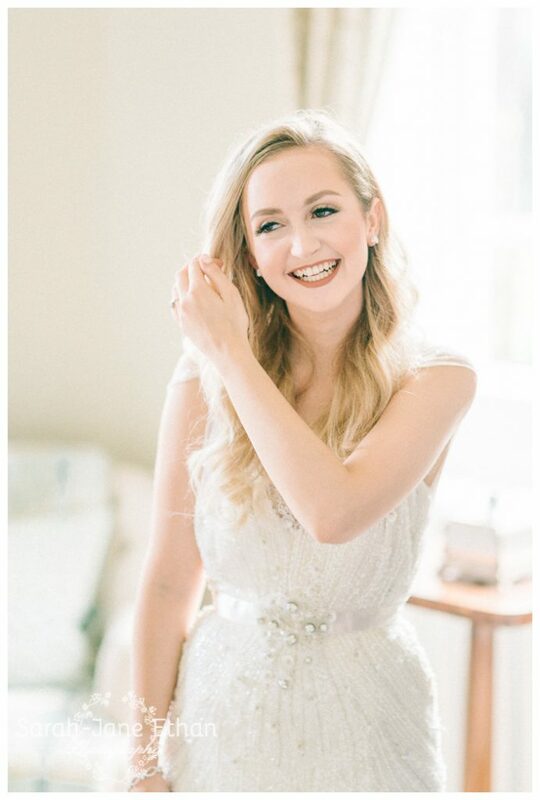 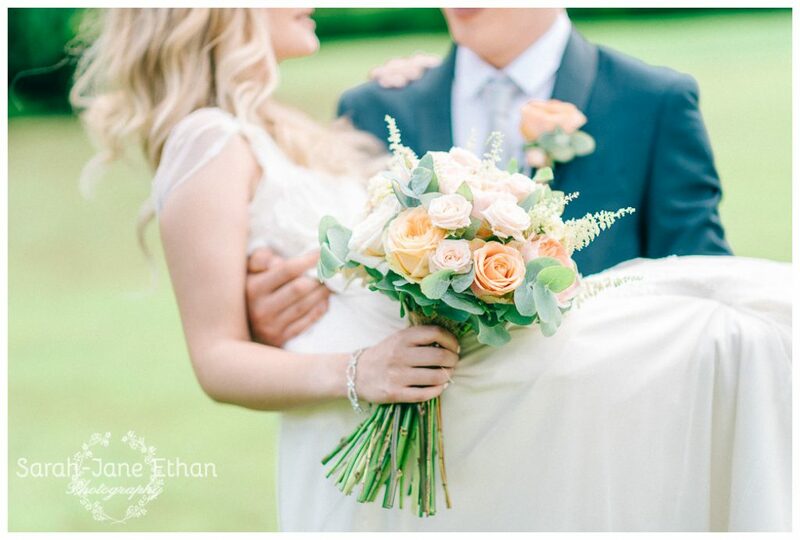 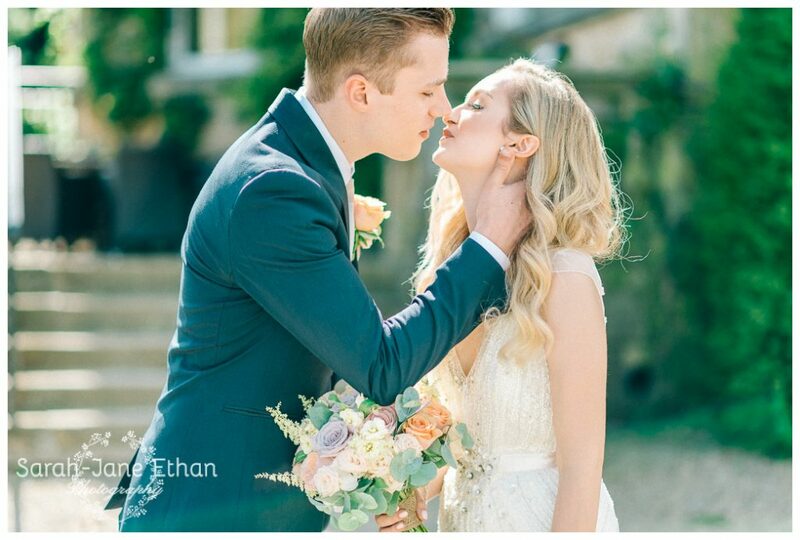 )…..Sarah Jane Ethan is an uber talented fine art photographer beautifully capturing weddings throughout the UK & abroad. 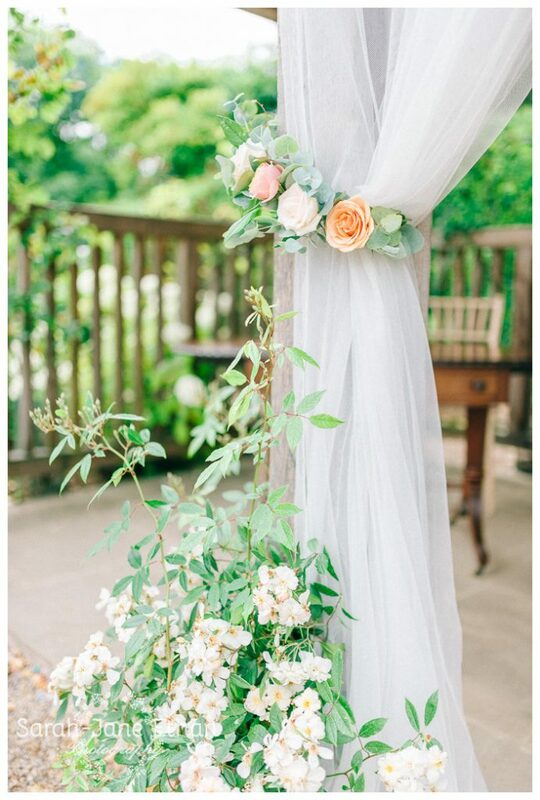 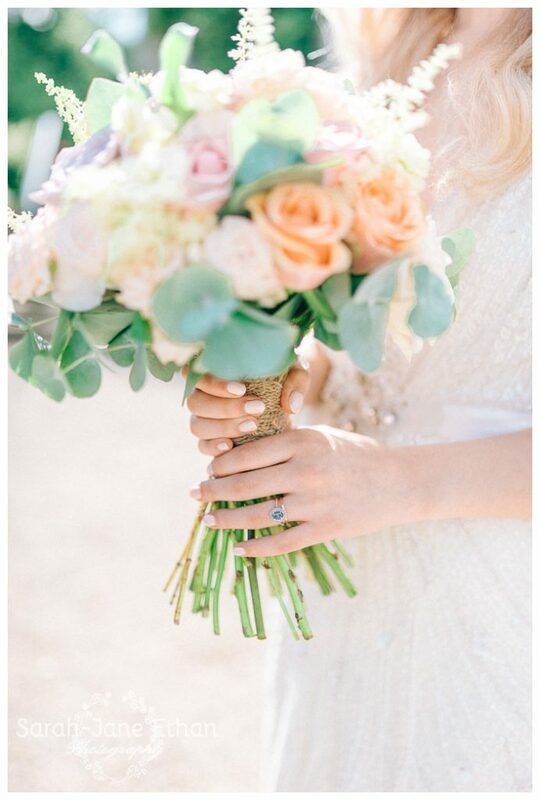 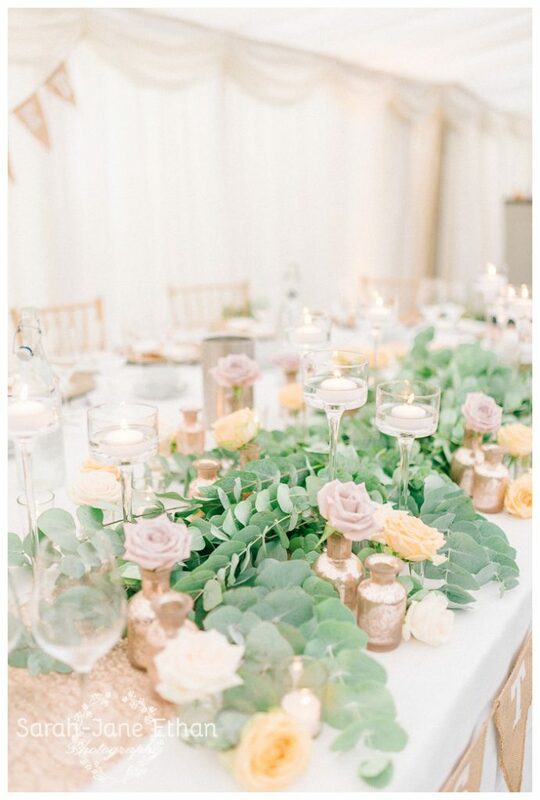 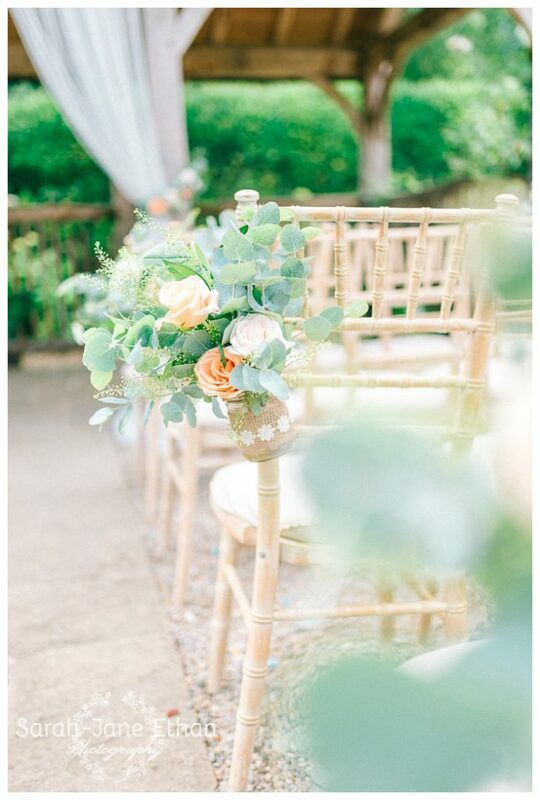 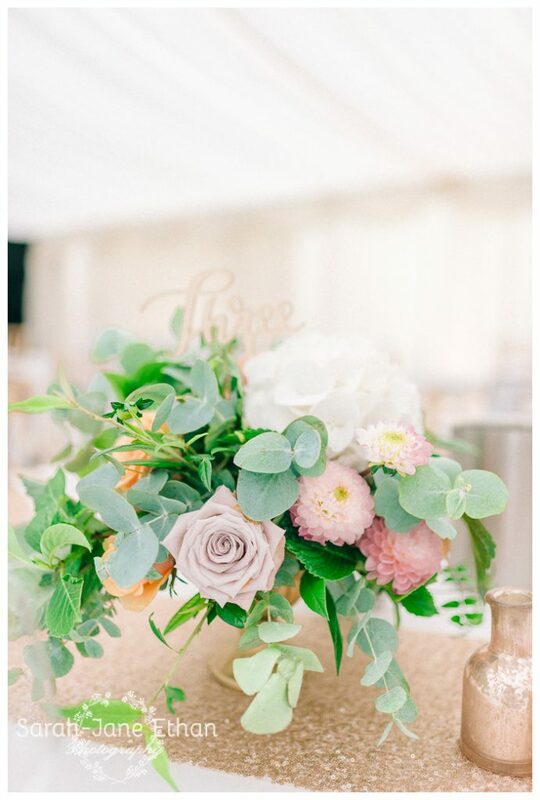 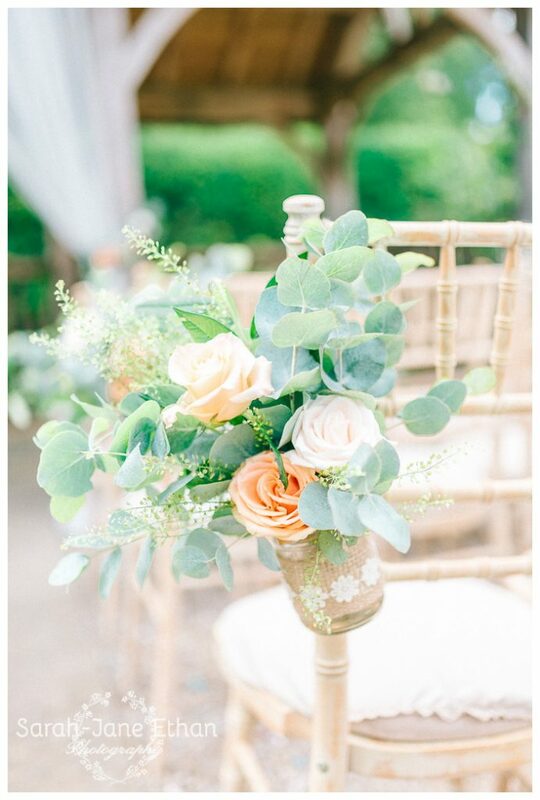 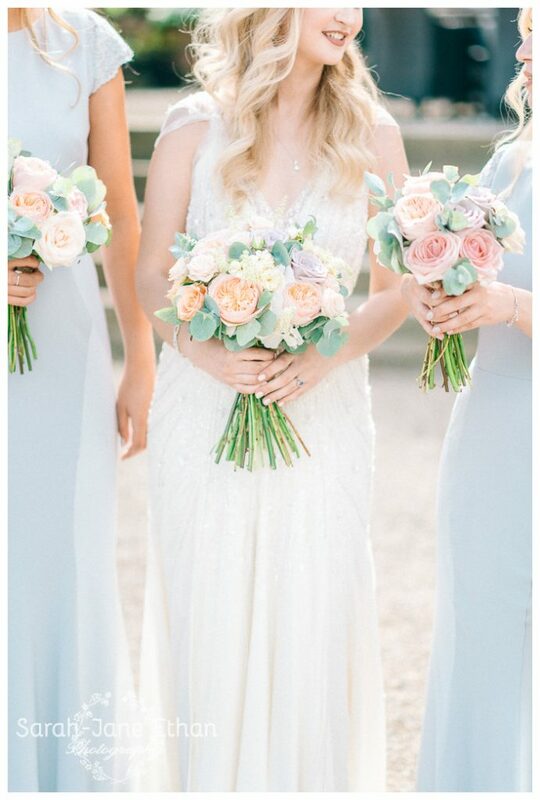 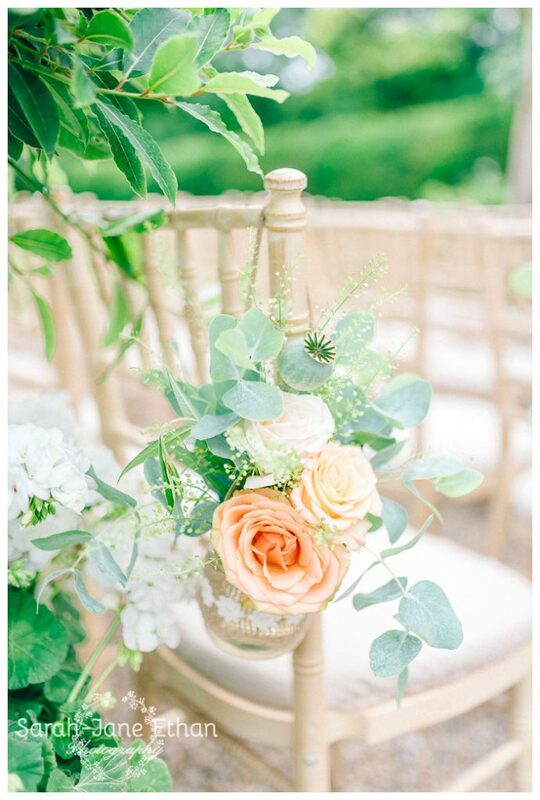 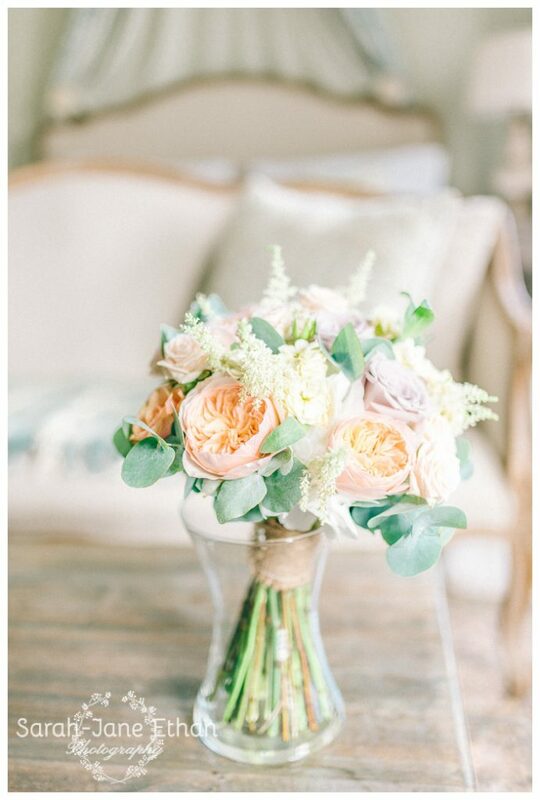 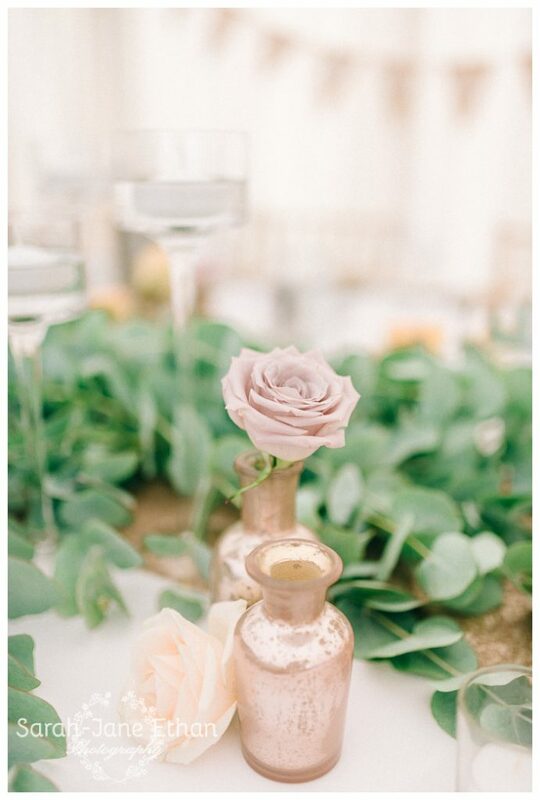 Fourth, give your Florist/Stylist a budget and let them use their knowledge & experience, we at Wedding & Events Floral Design designed all of Sarah & Zack’s gorgeous florals exactly to their budget. 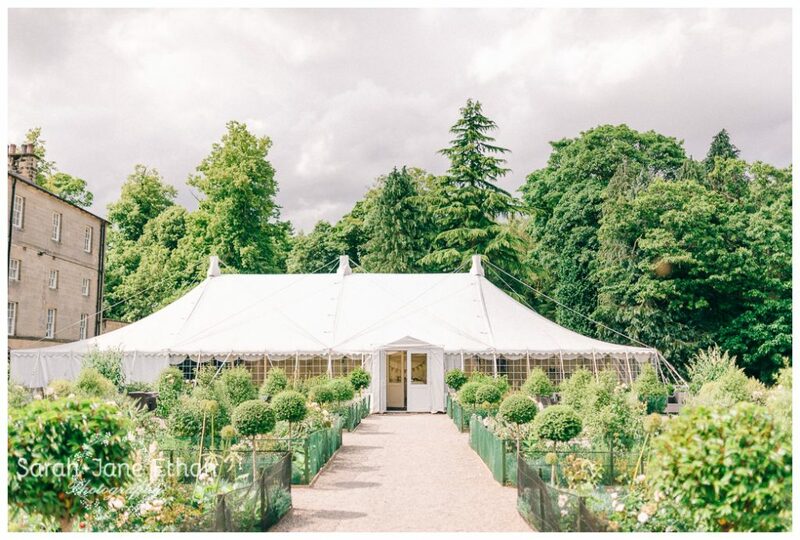 We used foliage heavy designs in the Marquee but ensured the flowers we did use were in key positions. 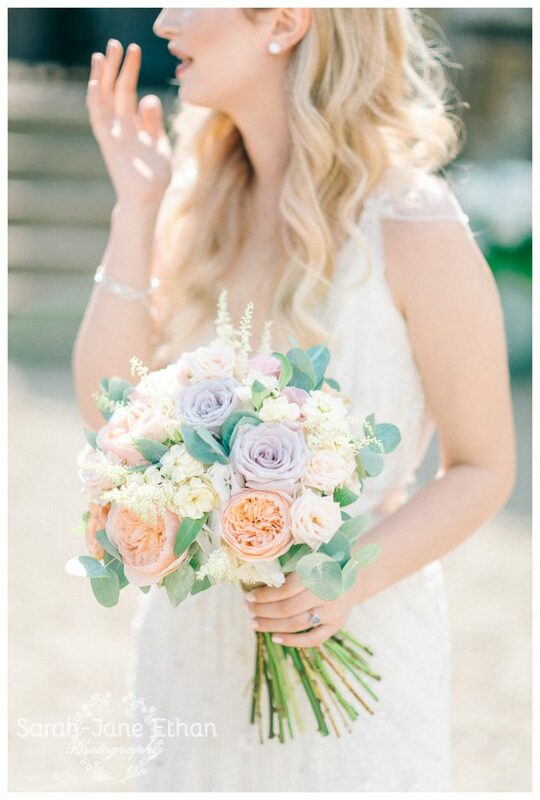 Sarah longed for David Austin Juliet roses and by reducing flower content in other areas we managed to incorporate them in all the main florals. 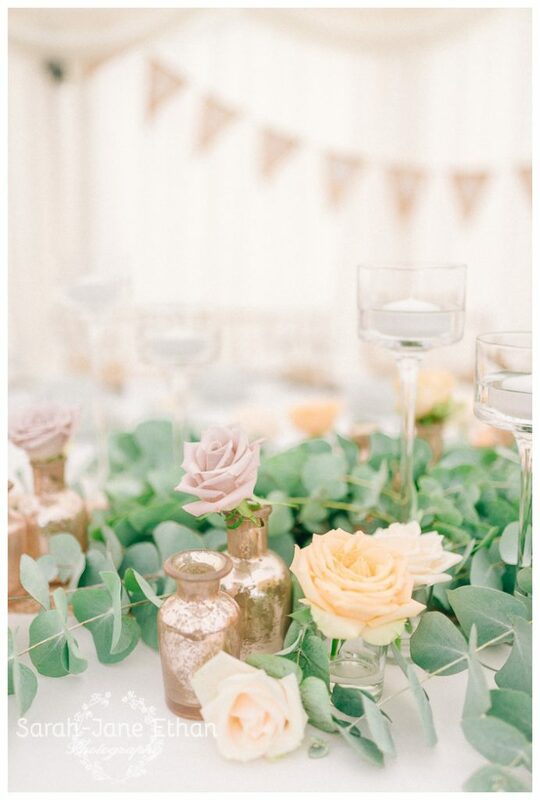 Fifth, having a buffet for your Wedding Breakfast is a great way for your guests to mingle. 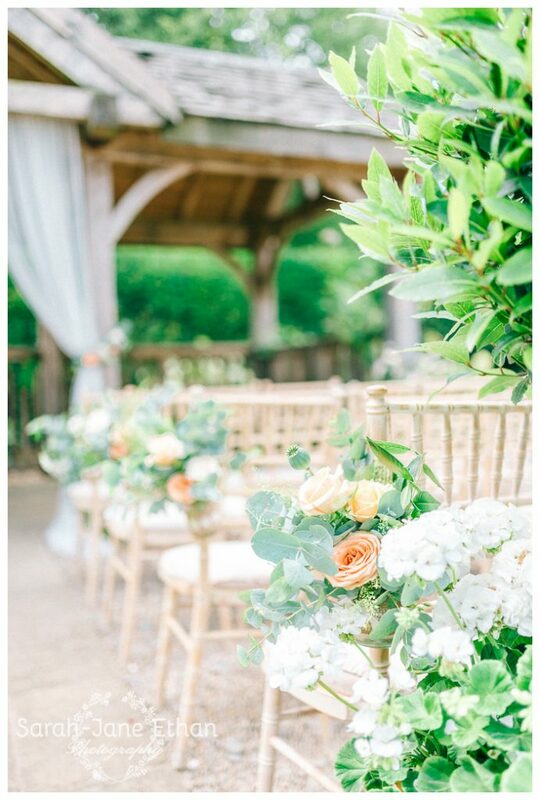 and finally don’t lose sight of what a Wedding is all about….love, marriage & commitment ….it doesn’t matter WHEN you tie the knot….all this beauty happened on a MONDAY!